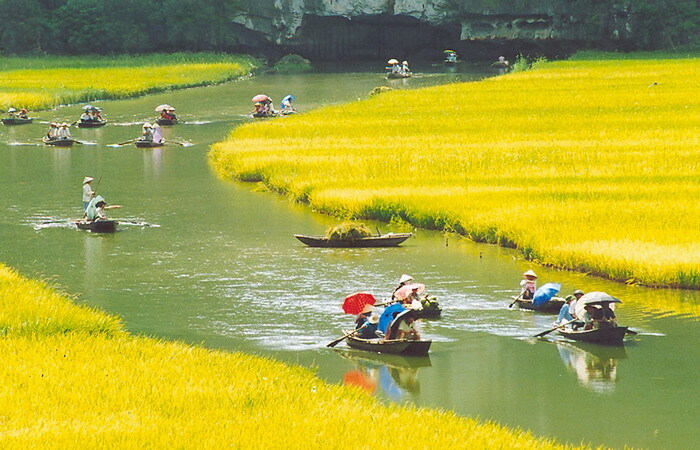 Village of Tam Coc is located at Ninh Binh Province in North Vietnam. It’s one of the most picturesque view in Vietnam and often called as “Ha Long on land” because its karst scenery. Good news is this place is less touristy than Ha Long Bay. 3) Train – stop at Ninh Binh. Bagan, Myammar – an ancient capital to several Burma kingdoms, the Land of Enemy Crusher or the Land of Copper isdoes not make it as a UNESCO Heritage Site due to its unfortunate stories behind the rebuilt of some temples by the junta. A fellow traveller once said, if you were spellbound by Angkor Wat, you should visit Bagan. It will send you to another fantasy. As pointed out by John, the above picture is fake. Please bear with me that the image is 101% google image, the original site is just a click away from the image. I have not been there myself so Google Image is all I have. P/S: This is going to be on-going project to identify must-visit-places in this world. Stay tune for more.